Adding a swimming pool to your backyard is a great way to ensure more family time, exercise and good health. It’s a great investment not just for your home but for your wellbeing. If you’re just beginning to look at your options, there are lots of things to consider. Here’s a quick guide on what to look for when installing an in-ground pool. In-ground pools can be built a few different ways these days, and each one has its own unique advantages. One of the more popular options these days is fiberglass, which is the fastest to install. Fiberglass pools typically come in pre-determined shapes, which are built before they arrive and are installed in one piece. Vinyl liner pools are another popular in-ground option, which comes with relatively little maintenance and typically a lower up-front cost. A third option is a concrete pool, which opens up the shapes to whatever you can imagine, but comes with much more maintenance. 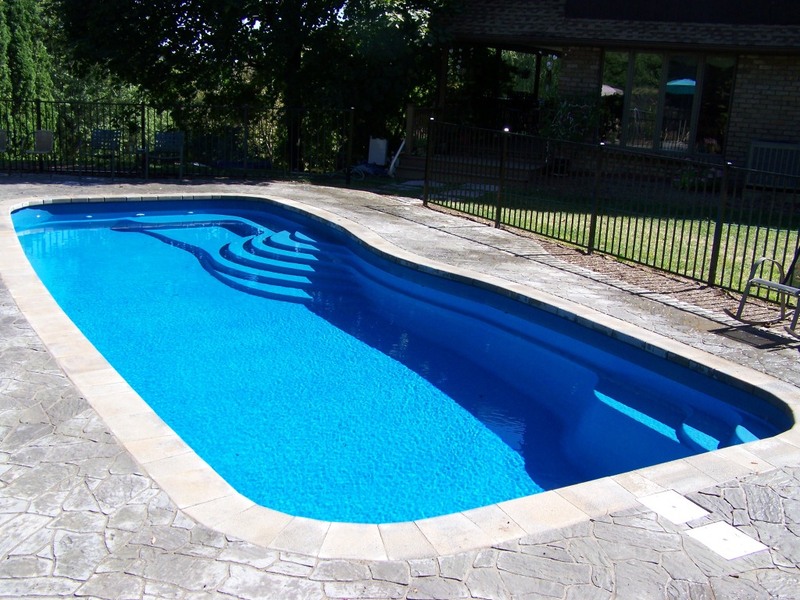 As we mentioned above, the size and shape of your pool will largely be affected by the type you choose: fiberglass, vinyl or concrete. But since pool installers partner directly with manufacturers, it’s important to know what your options are. Some companies offer more styles than others. Keep in mind that the size of your pool will depend somewhat on the space available in your backyard. As for the shape, think about how you plan to use the pool. If you’re into athletic swimming, you’ll probably want a rectangular shape that allows for swimming laps. If you want a pool primarily for casual swimming and soaking, then you can get more creative with the shape. As you compare your options, be sure to ask about installation time so you know what to expect. Your in-ground swimming pool is even more enjoyable when you add accessories. For the ultimate in pool fun, consider things like diving boards and slides. For a serene retreat, think about accessories like fountains, bridges and other water features. It’s your dream pool, after all. Why not build it the way you always imagined? The space around your pool is just as important as the pool itself. Good landscaping, combined with the right lighting, can turn an ordinary backyard swimming pool into an extraordinary space. Ask your pool installer if they offer landscaping options too and if so, find out what your options are. There’s a lot to think about when buying a pool, but by taking your time to compare your options, you’ll be able to build the pool of your dreams. « It’s not too late to install an in-ground pool this year!